"Specializing in the Treatment of Arthritis and other Rheumatic Diseases"
Rheumatology is a speciality practice of internal medicine focused upon the non-surgical evaluation and treatment of rheumatic diseases. In general, rhematologic diseases are characterized by abnormalities of the immune system. A common manifestation of these diseases is arthritis. Rheumatologists have special interest in unexplained rash, fever, arthritis, anemia, weakness, weight loss, fatigue, joint of muscle pain, autoimmune disease and anorexia. Some diseases are rare and often more challenging to diagnose by primary care providers. Our patients are men and women over age 15, who come from all walks of life. While the majority of our patients live in Northwest Florida, patients travel from other parts of Florida and surrounding areas such as Alabama and Georgia to be treated by Dr. Kenawy. Today, millions of American are affected by some form of arthritis. Arthritis is the leading cause of pain and disability in the United States. There are more than 100 types of atrhritis, but it has three tell-tale signs: pain, stiffness and swollen joints. Fatigue is also common. While some types of arthritis can be mildly nagging, other forms can be serious and debilitating. Accurate and early disgnosis is important to minimizing joint damage and disability while maximizing and preserving mobility and function. The most common types of arthritis in adults include rheumatoid arthritis (RA), osteoarthritis (OA), ankylosing spondytitis (AS), psoriatic arthritis (PA), lupus, Sjoegren's syndrome scleroderma, gout and osterporosis. 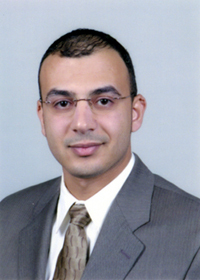 Monday - Thursday: 8 a.m. - 12 p.m. & 1 p.m. - 5 p.m.
Dr. Kenawy completed his Medicine residency and Rheumatology fellowship at the Unviersity of Florida - Shands Hospital in Gainesville, FL. Dr. Kenawy is Board Certified in Rheumatology and Internal Medicine and is a Fellow of the American College of Physicians and Rheumatology. In addition, Dr. Kenawy is USSONAR certified in the diagnosis and treatment of musculoskeletal disease using the latest Ultrasound technology. A native of Panama City, FL, Dr. Kenawy rejoins the Bay County community as one of the leading specialists in the field of Rheumatology and Arthritis treatment. Dr. Kenawy brings the latest technology and knowledge for diagnosis and treatments of Rheumatologic diseases as well as other cutting-edge medicinal strategies to a speciality that has advanced dramatically over the past decade.